PAWTUCKET, R.I. (AP) — Police say they found more than 50 animals living in deplorable conditions at a Rhode Island home. FAIRHAVEN, Mass. 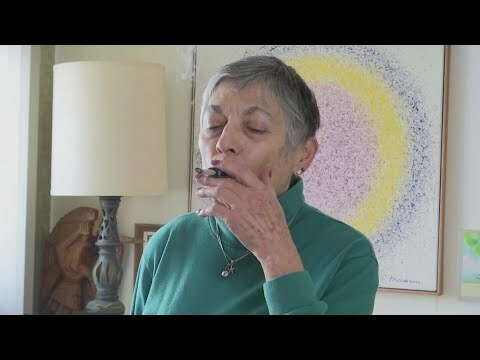 (AP) — For Joan Stratton, the LGBT Supper Club at the Fairhaven Council on Aging, run by director Anne Silvia, "is home." GONZALES, La. (AP) — A Louisiana city has abruptly closed a skate park pushed for by local teens, and it may open a senior center in its place. CONCORD, N.H. (AP) — New Hampshire's Senate has passed a bill for a prescription drug assistance program to help with out-of-pocket costs for low-income seniors. NEW ALBANY, Ind. (AP) — A new housing center that's set to open in southern Indiana will provide shelter to homeless veterans trying to get back on their feet. AUGUSTA, Maine (AP) — About 400 Maine seniors are on a wait list for Meals on Wheels, and a pair of bills would boost state funding for the program. NEWARK, N.J. (AP) — Authorities in New Jersey have released the name of a man who died in a fire at a senior living apartment complex in Newark. 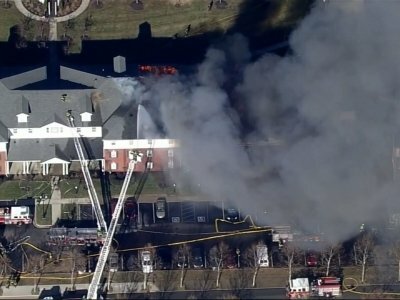 NEWARK, N.J. (AP) — Authorities in New Jersey say one person died in a fire at a senior living apartment complex in Newark. ROMEO, Mich. (AP) — Authorities in Macomb County are hosting a program designed to show senior citizens how to avoid becoming victim to computer-related crimes. A free presentation is scheduled at 1:30 p.m. Feb. 27 at the Romeo District Court by the Macomb Area Computer Enforcement Unit. It will cover identity theft, fraud and scams. Sheriff Anthony Wickersham says that "many seniors feel vulnerable when it comes to technology and do not know how to protect themselves when using the internet." WASHINGTON (AP) — Medicare wants to change how it pays for emergency ambulance services to give seniors more options besides going to a hospital emergency department, officials said Thursday. Other options could include going to an urgent care center, a doctor's office, or even treatment at home under supervision of a doctor via telehealth links. WASHINGTON (AP) — A report by the federal Bureau of Alcohol, Tobacco, Firearms and Explosives says a fire that gutted a public housing complex for seniors in Washington, D.C., was likely caused by human activity. News outlets report investigators say the September fire at the Arthur Capper Senior Public Housing complex likely started in a small space near the roof that contained electrical wiring. DALLAS (AP) — Most seniors have more free time for leisure activities including travel, but money is tighter when the paychecks stop at retirement. TOMS RIVER, N.J. (AP) — Officials say scores of elderly residents have been evacuated from an assisted living center in New Jersey due to flooding. The Asbury Park Press reports that 87 seniors were taken from Magnolia Gardens after a pipe burst Saturday evening, flooding the first floor with three feet of water. WETUMPKA, Ala. (AP) — A possible tornado caused significant damage Saturday to a small Alabama city's downtown, leveling several buildings after an intense storm passed through the area. Wetumpka Mayor Jerry Willis told the Montgomery Advertiser that one injury was reported, but it wasn't serious. BOSTON (AP) — Low-income seniors would see a break on how much they pay for health care under a plan Republican Gov. Charlie Baker is including in his state budget proposal. Under the plan, seniors who earn 130 to 165 percent of the federal poverty level — from just under $16,000 to about $20,000 each year — would be eligible for Medicare savings programs, which help reduce health care expenses, including out-of-pocket costs. DETROIT (AP) — The state of Michigan on Tuesday announced the final round of "mobility" grants it gives out to encourage pilot projects to help transport seniors, the disabled and veterans with autonomous vehicles and other technology. MEXICO CITY (AP) — Mexican President Andres Manuel Lopez Obrador has expanded nationwide a program that provides small pensions to Mexicans over age 68, an extension of an effort that he began in Mexico City while mayor of the capital in 2000. Lopez Obrador said Sunday that the elderly will receive 2,550 pesos — about $133 — every two months to help cover basic needs. The starting age will be 65 for people in indigenous communities, which tend to have more poverty. NASHUA, N.H. (AP) — Those at least 55 years of age can learn more about iPads, dive in to some creative writing classes, talk about history, music, science and a wide variety of other topics via the Rivier Institute for Senior Education program. This year, nearly 60 classes will be offered to seniors between two sessions. The first session runs from Feb. 4 to March 15, while the second will go from March 18 to April 26. Of the 60 classes, 25 are new for 2019. ST. PETER, Minn. (AP) — For Gale Kreykes, volunteering has always been a way of life. At 99, the St. Peter woman continues to volunteer every weekday serving and packing meals at Parkview Manor in St. Peter and for the Meals on Wheels program. "I don't like sitting around," she told The Free Press . "Sitting around is for the birds." TRAVERSE CITY, Mich. (AP) — It doesn't take long to see that 95-year-old Leda King is a beloved guest and volunteer at the Traverse City Senior Center. You might spot her seated and sipping a cup of coffee another volunteer or staff member brought her — she's there every weekday to help or just to visit. The friendliness they've shown her in her 25 years of helping out at the senior center is part of what keeps her coming back. TAYLORSVILLE, Utah (AP) — Approximately 100 residents of a senior living center in a Salt Lake City suburb were displaced by flooding caused by a broken pipe early Thursday morning. Evacuated residents initially stayed in a lobby in another building at the facility in Taylorsville and most were able to return to their units in the facility by late Thursday morning. However, about a dozen went to hotels. CHESAPEAKE, Va. (AP) — An apartment complex for seniors has been named in a wrongful death lawsuit following the deaths of three people in a fire last year. The Virginian-Pilot reports that the aunt of 30-year-old Lydia Somerville sued Chesapeake Crossing Senior Community Apartments in December. LAWRENCE, Ind. (AP) — Dozens of people have been displaced after a major fire at an apartment building for senior citizens, northeast of Indianapolis. Authorities reported no injuries in the fire Monday at Benjamin Court Senior Living in Lawrence. But TV station WXIN says 30 apartments were ruined, and dozens more are in jeopardy. At least 80 people were taken to a nearby YMCA. BARRE, Vt. (AP) — The office of U.S. Sen. Bernie Sanders is holding a free holiday meal for seniors in Barre. The event is happening at noon Monday at the Canadian Club. The independent senator says the meal is a chance for seniors in central Vermont to come together, enjoy some food and hear some holiday music performed by local students. BANGOR, Maine (AP) — Nursing home operators across Maine are struggling to remain open and support the state's aging population. The Bangor Daily News reports the Ledgeview Living Center in West Paris was one of six nursing homes that closed in 2018. About 200 residents had lived in the facilities. FORT COLLINS, Colo. (AP) — Sheila Hillhouse's basement felt more chaotic than usual last week with boxes, furniture and suitcases strewn around the bedrooms and kitchen. Renter Sahar Radwan was moving out, and a new renter was moving in. With one adventure coming to an end, and other about to begin, Hillhouse, 72, takes the chaos in stride. WAYZATA, Minn. (AP) — Betty Allen, 91, has vivid memories of what it took to put food on the table during the Great Depression. She grew up in a farming family with eight brothers and one sister in central Mississippi. When the cotton fields were too wet to work, her dad would shoot rabbit. Her mom would fry it up and make a big pot of gravy. JEFFERSON CITY, Mo. (AP) — A report released Wednesday by Missouri Auditor Nicole Galloway found that cuts to in-home care for seniors and people with disabilities didn't end up saving as much money as expected. LA CROSSE, Wis. (AP) — Elvis and Sinatra sang songs about love. BAGHDAD (AP) — The official website of Iraq's most senior Shiite cleric has published a rare photo of the aging leader, the first in several years. WASHINGTON (AP) — The Trump administration on Monday proposed changes to Medicare's prescription drug benefit that would affect patients' costs over the next few years, creatiing winners and losers. Medicare's administrator, Seema Verma, said the goal is to lower costs for beneficiaries and modernize the government's flagship health insurance program for seniors and the disabled, covering about 60 million people.